Imagine for a moment driving down an old country road. You are on your way to a quaint little country diner for what is rumored to have the breakfast in a 50 mile radius. The view is incredible as the road keeps going and going. You wonder if you are still going the right way because this road seems to last forever. Then it happens: up ahead is a fork in the road. You approach the Y, uncertain if you are to go left or right. There is only one right way. Choosing it will lead to a satisfied stomach. But if you pick the wrong road, you will end up lost and hungry. What to do? As you approach the fork in the road, you see a small sign posted with the name of the restaurant and an arrow pointing to the right. Proud of your keen observation skills, you follow the road to the right and pull up to the parking lot within 5 minutes. You have chosen wisely; you picked the right path. It wasn’t really all that difficult, though. After all, there was a sign pointing the way. It didn’t take a lot of wisdom, you just had to pay attention. Now a few minutes behind you is another driver looking for the same restaurant. He is a little cranky having not had breakfast or morning coffee yet. In his frustration of not finding the diner yet, he grabs his phone to see if he can call someone who knows where it is. As he approaches the fork, he is talking on the phone with a very unhelpful friend while adjusting the heater on the dash. Speeding about 15 miles an hour over the speed limit, he veers left at the fork and mutters his frustration about this long road. He is about to be really lost, really hungry, and really grumpy. What’s the point, you ask? 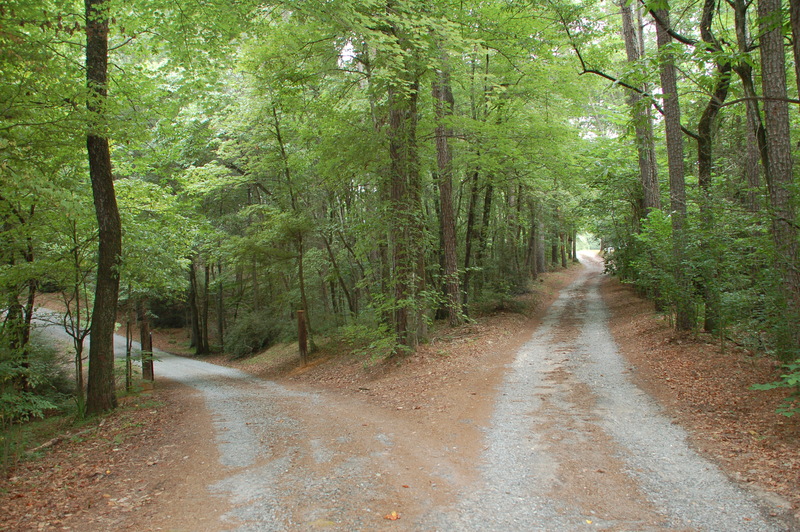 Hosea 14:9 says that there is really only one right road and that the righteous take that road. It’s not that they are perfect or have all the answers, they just pay attention to the signs. They watch out for where the Lord is leading and do their best to follow. The rebellious, however, stumble. They aren’t trying to follow the Lord’s lead, they are just following their stomachs. They go their own way and find themselves lost and empty. I always try and go the right way. The way that God directs me. It’s always a blessing to know that I’m taking the right way. If we didn’t, who knows where we’de be.